Business cards can show off your talent. 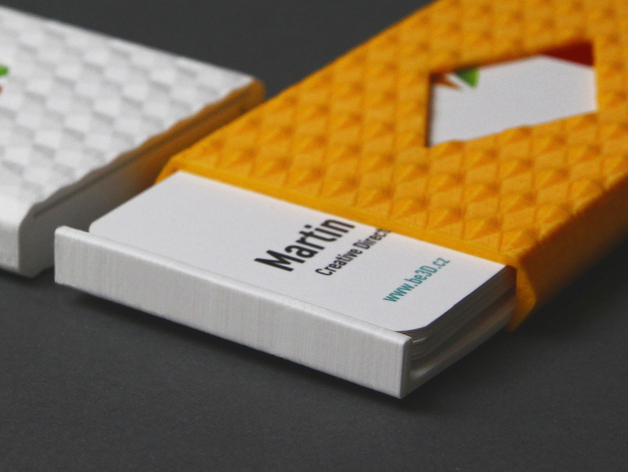 What better way to showcase your creativity than with 3D printed business cards? 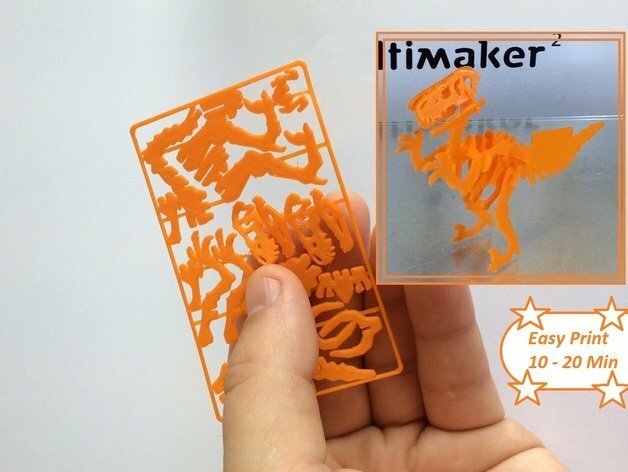 Check out these five awesome 3D printable business cards to bring out the WOW! 3D Printed Business Cards Busy With Business Cards! 3D printing business cards can be a great way to advertise your company with a unique, creative flair. Possible customers or business partners will definitely be impressed! Even if you aren’t looking to advertise your business, these models are great fun! They are quick and easy to print and reap a stunning result. Many of these models include a small space to put your information. Perhaps the best part is that business cards are very small! This means low filament costs and print times. 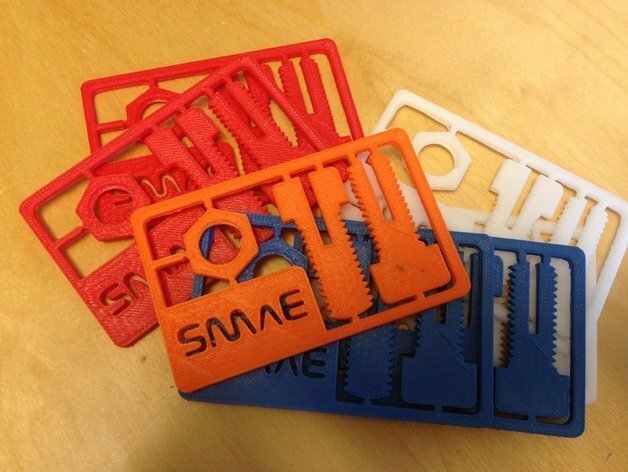 Without further ado, let’s dive into five awesome 3D printable business cards! A velociraptor is a genus of a dromaeosaurid theropod dinosaur, but today it is a business card. This card includes a lot of detail in a 3.5 x 5 in area, but it is easily printed by an FDM 3D printer in under twenty minutes. The finished print is sure to impress. Just imagine when it is put together! Who printed it? Over 200 Thingiverse users have posted makes of this model! The prints speak for themselves. You will definitely not regret making this design. 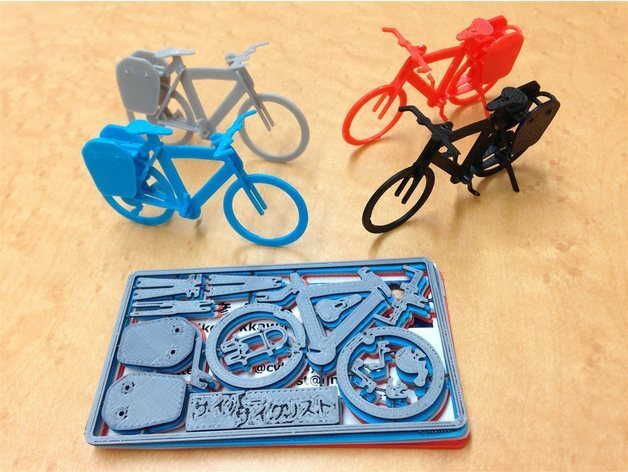 This Touring Bike business card is another “print-flat-but-then-assemble” type of model. The design is optimized for FDM machines with a 0.4-mm nozzle. And you don’t have to worry about long print times. Twenty minutes and just a bit of filament later, and you have an epic business card! Who printed it? Though this model has no makes on Cults3D, the design is right behind the above velociraptor, with almost 200 Thingiverse makes. This third model is very similar to the previous two but is definitely unique. After popping out the components and assembling them, you get a bolt-like mechanism that actually works! As such, it is perfect for anyone with a 3D printer who wants to makes something quick and fun. If you want to share your information with these cards, simply add lettering to the small space in the lower lefthand corner. In under 30 minutes, you will have an impressive print! Who printed it? Five makes have been posted of this model on Thingiverse. The results are impressive! Be sure to get your first layer right for this model. This will help you get the tighter clearances needed for the assembled bolt to work. This business card is about as simple as simple can get. 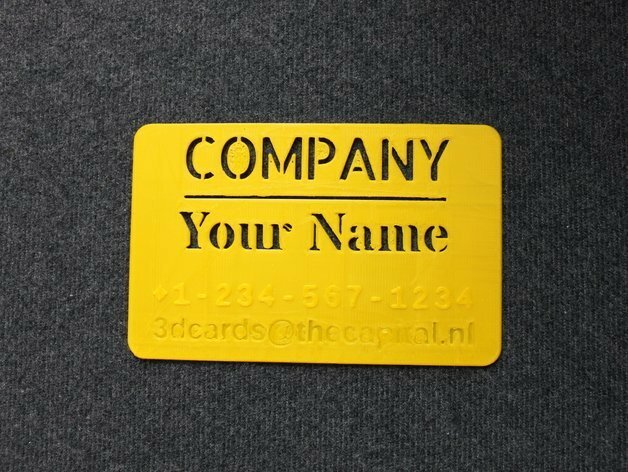 Via Customizer in Thingiverse, you can fully customize this business card to include your company’s name, your name, and your website. In way under an hour, you can customize, slice, and print this model! It is important to get a nice first layer for this print, this will make for more detail lettering. You might also want to increase retraction to keep strings from getting in the small spaces. Who printed it? The two makes on Thingiverse do not, by any means, point to any inferiority of this design. 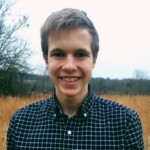 You create a lithophane of your picture of choice using customizer with this Thingiverse model. 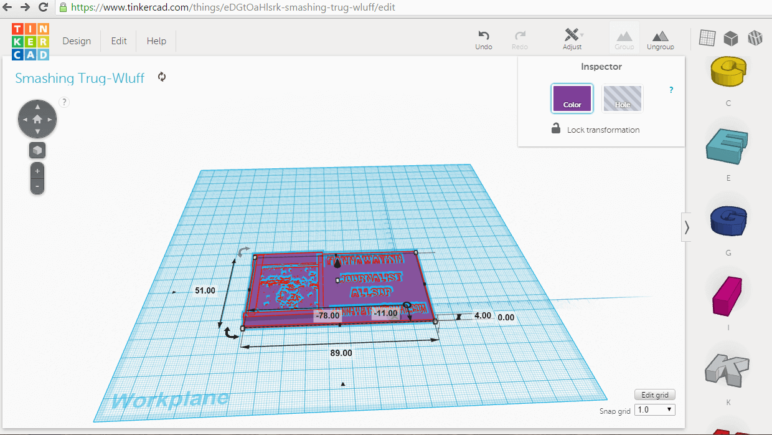 In TinkerCAD, you model the basic business card and add your information. Add your pre-customized lithophane to the card. For more in-depth details, be sure to check out the guide. In no time, you will have business cards like no other! License: The text of "3D Printed Business Cards – Best Curated Models and Projects" by All3DP is licensed under a Creative Commons Attribution 4.0 International License.